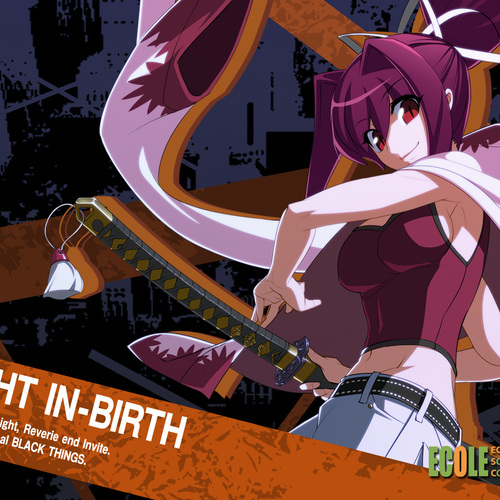 I'm looking to cast the role of Yuzuriha for the final few episodes of my Under Night In-Birth project. My previous Yuzuriha voice started doing paid/professional voice over work and has had to step away from the role. You can find her portrayal of Yuzuriha HERE! 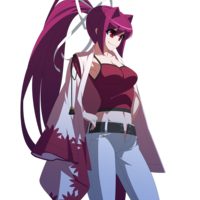 I'd recommend that you check it out, as she REALLY nailed Yuzuriha on an acting perspective - it would also allow you to see the kind of character Yuzuriha is as she's pretty complex. I ask that you perform both pitches as if your approaching 2 different characters. For lines 1 & 2 use the high pitch. And line 3 the deep pitch. If you have any questions feel free to PM me. Good luck! Yuzuriha has two completely different personalities, which she switches between on a regular basis. For personality 1, she sounds like a little kid, super energetic, childish, comical and has a high pitched voice. For personality 2, she sounds much more mature, deadly serious and has a much deeper voice. (high pitch, super excited tone) "Me! Me! Ooooooh pick me! PLEEEEEEEEASE PICK ME!" (high pitched, cheerful tone) "Huh? Whatcha sayin', bro? If it's somethin' juicy, let me in on it!" (deep pitch, serious tone) "The Hollow Night…It clouds people’s minds and halts progress. The night where light does not shine…This is a place nobody lost should wander."